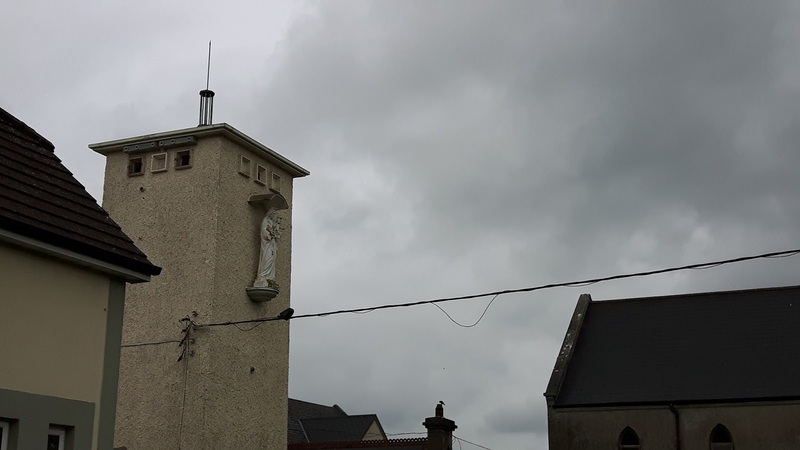 Today we met the students and teachers from St Rynaghs National School in Banagher Co. Offaly, only a stones throw from the BirdWatch Ireland Banagher office. The school has partnered up with Banagher Tidy Towns Group to help conserve Swift populations in this small town. In the early spring Banager Tidy Towns Group planned and coordinated their Swift Nest Box Project. With funding from the Heritage Council and Offaly County Council they bought and erected 5 top of the range Schwegler nest boxes. The work was enthusiastically carried out by local FAS and TUS scheme participants. The project aims to help Swift populations locally by providing safe and permanent nesting places for these summer visitors whilst bringing the species right into the heart of the three local educational facilities. As well as the Swifts, St Rynaghs NS, Banagher College and Banagher Further Education Center have all benefited from the project. 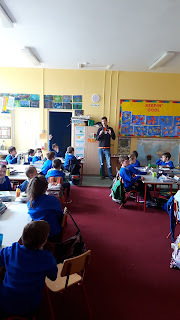 During today's visit to Ms Keenaghan's second class we hoped to inform and inspire the class pupils on the importance of protecting Swifts and our environment. The class went on an Urban Safari to observe the towns Swifts go about their daily business. 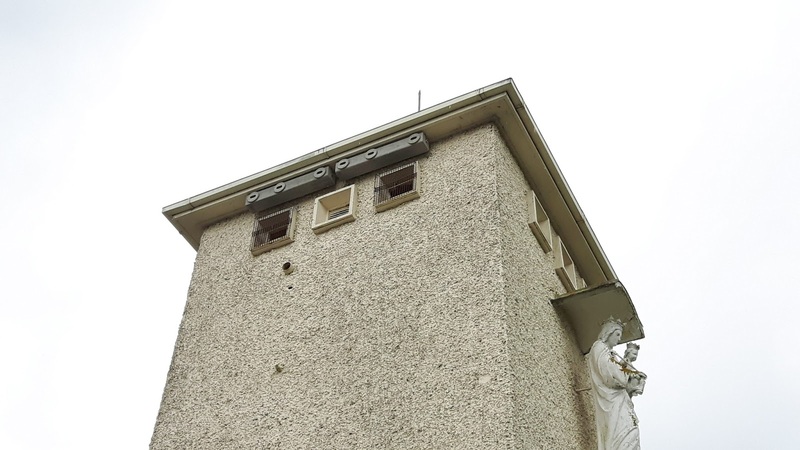 We looked at older buildings suitable for nesting birds and compared them to more modern buildings that for the most part nullify the opertunity for nesting swifts. We discussed all the amazing facts about the species and talked about the various threats they face and why we need to protect their breeding places. Typical of Ireland, our Swift Safari got cut short by rain showers so we retreated back to the school for an in-dept "questions and answers" session with the pupils. The pupils really had grasped the topic and had lots of very interesting (and difficult) questions. We hope the second class pupils will become real ambassadors for Swifts and help spread the word to their friends and families for a long time to come. Fingers crossed that their boxes will have some residents in the near future and we will blog any updates in the future. Thanks to St Rynaghs Principal Mr McMahon, class teacher Ms Keenaghan and all the pupils for their enthusiasm and for making the visit so enjoyable. 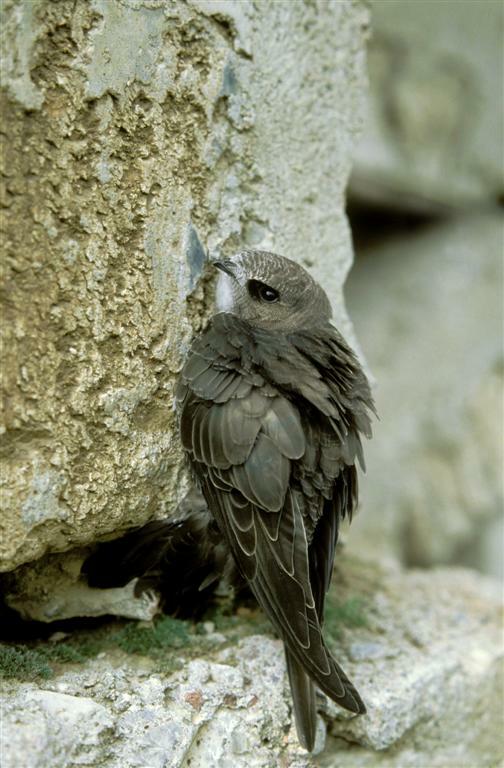 For more information on Swifts and how you can help them see our Swift Project Page here. 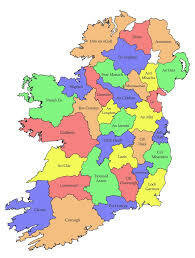 To record a swift sighting or nesting location click here.